Linden (or lime) trees are known for their medicinal properties and aromatic blossoms. 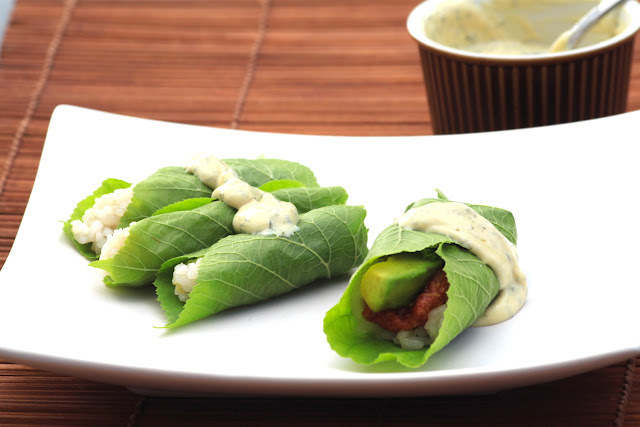 Their leaves are versatile greens that add a special touch to various culinary creations. 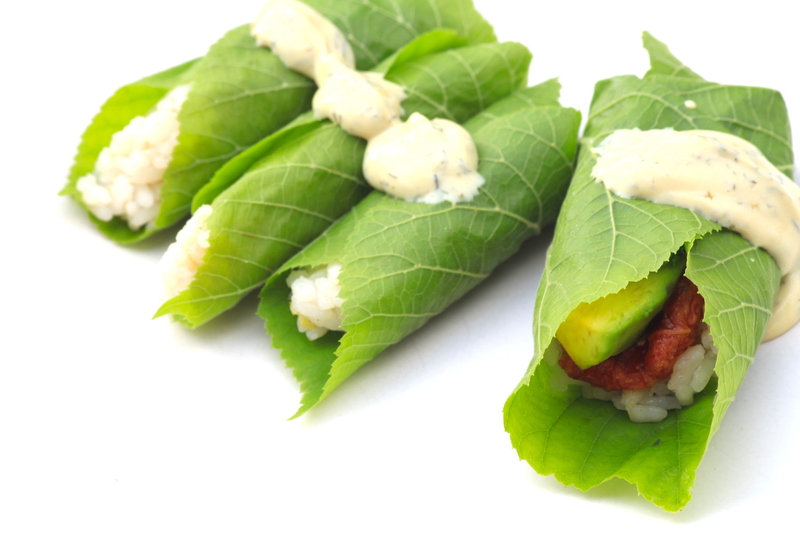 My favourite way to use them is in wraps, in much the same way as vine leaves are used in dolmades. Ideally you pick them up in early spring when the leaves are young and tender. I like to get a bunch of them and prepare them in brine for later use during the rest of spring and summer. If you are late for the early harvest and only find older leaves, you will notice that they get a bit more fiberish. Still it is possible to cook them in salty water (for 10 minutes or less, depending how hard the leaves are). Add them to a sterilised glass jar, add a brine made from water, sea salt and apple cider vinegar - like with vine leaves - and close it with the lid. Leave them in the brine for at least a week in the fridge before using them. I like to add much less salt and vinegar as the usual amounts we find in commercial vine leaves. 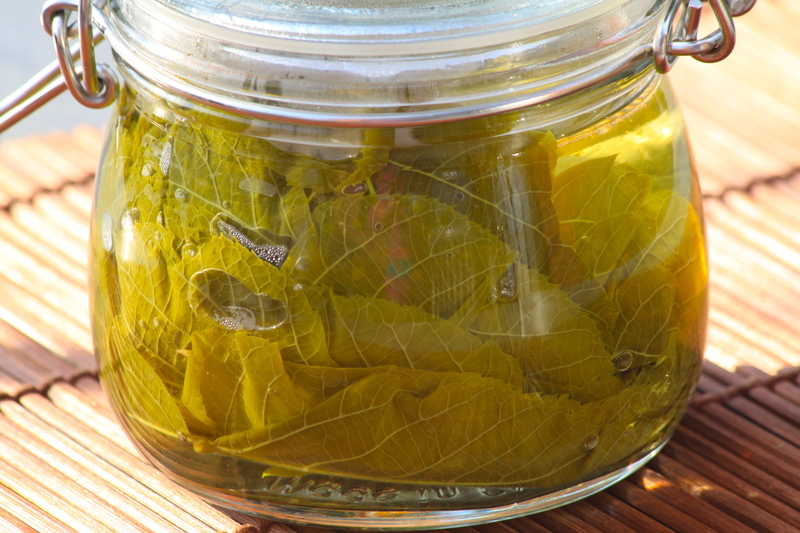 If you don’t want to use a jar, you can also freeze the boiled leaves. You can wrap basically any grain dish with linden leaves, as they have a neutral flavour. My favourites grains for that are rice and quinoa (Check my next blog post for another idea of a quinoa recipe to be used with linden leaves). Add your favourite spices, fresh herbs and vegs to them and they are good to go. Here is an idea of rice scented with elder blossoms. Bring the rice with the water, elderflower blossoms, allspice, cardamom and the lemon zest to a boil. Reduce heat to medium and cook it until the water totally evaporates. Add the rest of the ingredients, cover with a lid and leave it in low fire for 3 more minutes. Remove from fire keep it covered until it almost cools down completely. 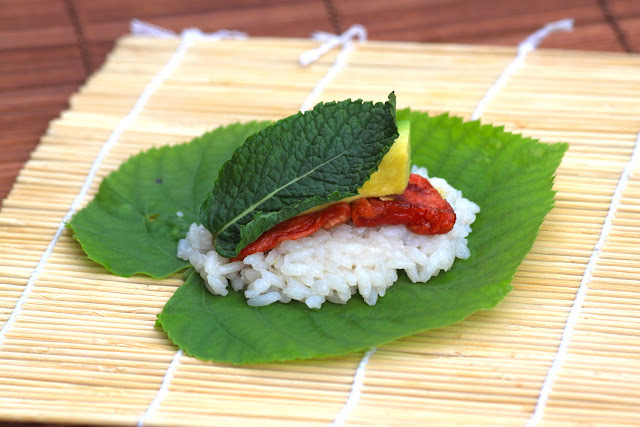 Add a little portion of the rice to the center of a linden leaf and wrap it as you would with vine leaves. 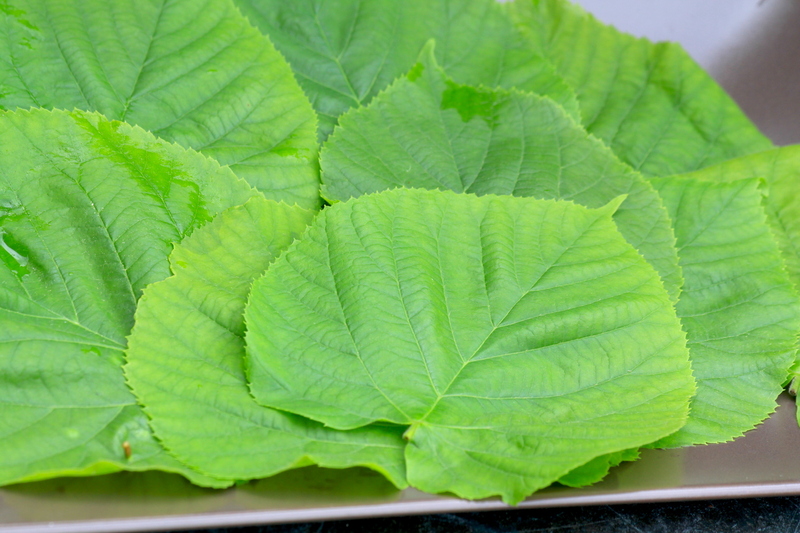 If it is not season of linden, you can use this recipe also wrapped in wine leaves. You can also use it in nori sheets, as sushis. Add raw or steamed vegetables of your choice. Serve with mustard-dill sauce or mint-yoghurt sauce. Add all ingredients to a little sauce bowl and whisk it until everything is well blended. It keeps well in the fridge for at least 3 days, in a air tight container or jar. Bring all ingredients together in a sauce bowl. Stir it well enough until it becomes a smooth cream.